Want the ultimate KLX or DRZ 110? The BBR Aluminum Perimeter Frame Kit is the trickest frame money can buy. 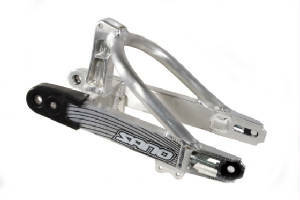 Utilizing a patented BBR design, this race-ready frame and adjustable swingarm eliminates the motor cases as a stress member of the frame while providing unsurpasses strength and performance from superior craftmanship. 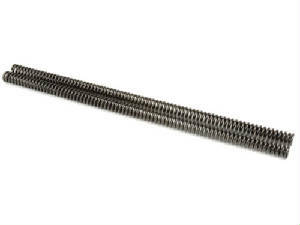 100% engineered, machined, welded, heat-treated and tested in the USA. • 8" of rear wheel travel utilizing a one-of-a-kind BBR supershock (by Elka), custom-built specifically for the BBR Perimeter frame. It is fully rebuildable, uses standard size valving and shims and has a giant 16mm shaft. 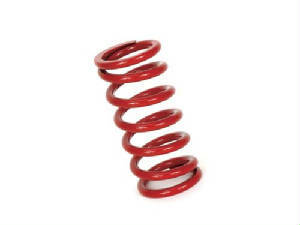 It also provides adjustable compression and rebound with optional spring rates. Frame Kit includes: frame, sub-frame, SuperComp Swingarm, shock, D-Section Exhaust, gas tank, footpeg mounts, brake pedal, side panels, chain guide and BBR gas cap. 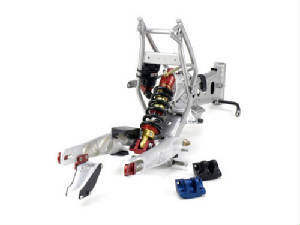 Update your 1970's style rear suspension to the state-of-the-art BBR Adjustable SuperComp Rear Suspension Kit. 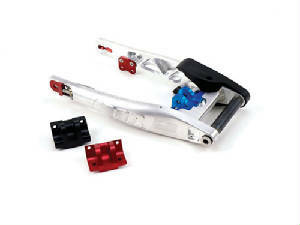 Unique BBR engineering with three (3) interchangeable leverage-blocks (soft, medium, stiff). Each leverage-block allows for a full range of rear suspension capabilities by controlling shock leverage ratios, giving the rider total control of rear suspension set-up for weight, ability, preference and track conditions. Once the chosen leverage-block is installed, the rider can adjust the shock for ultra-fine tuning. 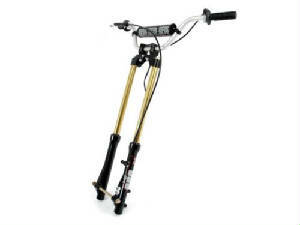 These forks are true motorcycle forks manufactured by a motorcycle fork manufacturer (Marzocchi). 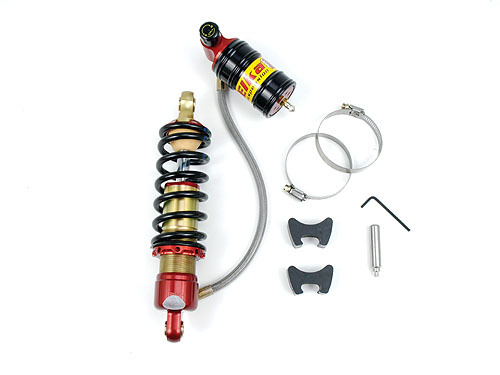 They represent the state-of-the-art in motorcycle suspension. Steel lower tubes are super strong and stand up to the mud and punishment of motocross. • Handlebars shown in picture are optional and not included with fork kit. BBR has adapted E-6 technology to the KLX/DRZ 110. The result is increased travel, 1.5” longer fork, stiffer spring rate, better damping, dual bushings and ti-nitride coated chrome-moly fork tubes. Add it all up and you get dramatically improved performance making your KLX 110 much more fun for both adult and kid riders. The E-6 fork tubes slide right into your stock tripleclamp for easy installation. 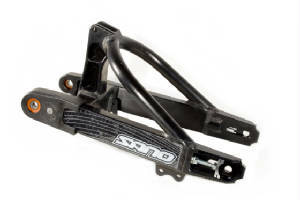 New and in stock SANO KLX 110 MX Swingarm kit. This is the most adjustable and cheapest KLX/DRZ 110 MX kit on the market. The shock can be moved to 8 different positions when you use the new F8 Ishock and 4 positions with the MBVert shock. With either shock you get 8” of rear wheel travel. 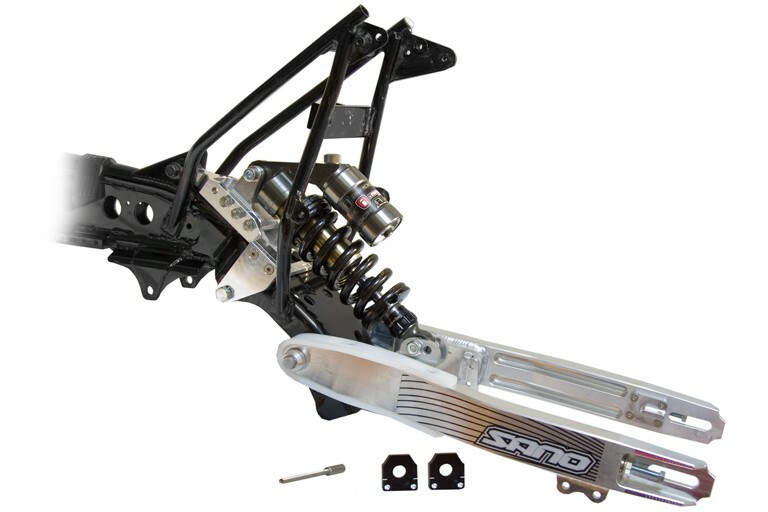 Kit comes with bushings, axel sliders and brake extension. 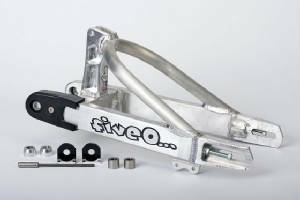 The Swingarm will work with the stock rear wheel, KX 60, ReegMX and its possible to convert it over for the KX 65 disc brake system. Does not include chain guide. 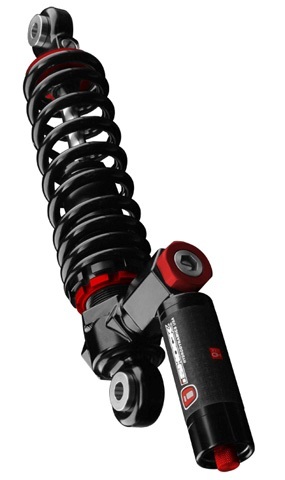 Use with XR/CRF50 style Chain Guide** Picture is with the MBVert Ishock. 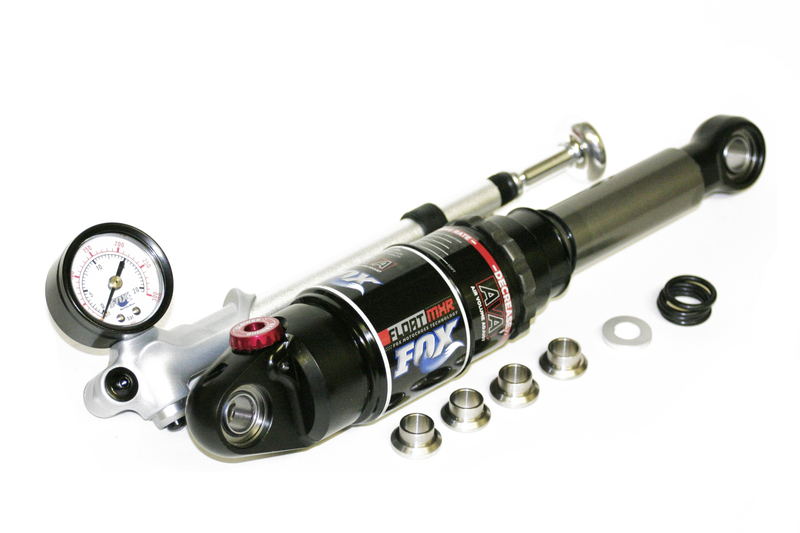 The new Elka KLX/DRZ110 rear shock is the ultimate rear shock for the stock style frame and swingarm. 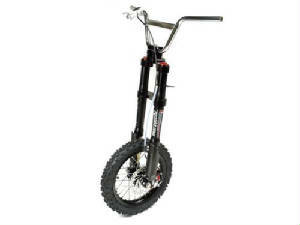 Built from the highest quality materials, it is fully adjustable and ready for adult sized riders. • CNC machined from solid steel rods. Custom developed by BBR Motorsports for the ultimate upgrade for mini four-strokes. Sized perfectly for adult back-yard racing or fast/aggressive mini riders. Custom-developed by BBR for adult riders and fast kids. Pre-set and stress relieved for long life. 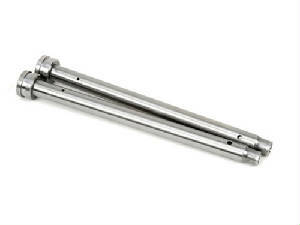 Fits KLX 110 stock forks or BBR E-6 forks. 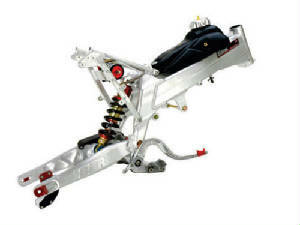 The most versatile rear shock on the market today. Fully adjustable via included micro air pump. Unbelievable performance for kids to aggressive adult riders with a simple twist of the clickers.